In order to meet the medical management challenges presented by increasing global crises, the U.S. military must find ways to more effectively manage manpower and time. In response, Joint Medical Operations –Telemedicine (JMO-T) has been developed by the Department of Defense (DOD) to collect and transmit near-real-time, far-forward medical data and to assess how this improved capability enhances medical management of the battlespace. JMO-T has been successful in resolving uncertain organizational and technological military deficiencies and in improving medical communications and information management. Deployable, mobile telemedicine teams are the centerpieces of JMO-T. These teams have the capability of inserting essential networking and communications capabilities into austere theaters and establishing an immediate means for enhancing health protection, collaborative planning, situational awareness and strategic decision-making. One objective of this chapter is to relate the rationale used by the DOD to determine the military utility of the Joint Medical Operations–Telemedicine Advanced Concept Technology Demonstration (JMO-T ACTD) or ACTD for short. ACTD is a JMO-T initiative developed for the purpose of improving joint medical planning capabilities, access and timeliness of medical care, and integration of medical situational awareness. 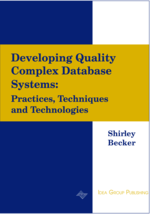 The chapter discusses in detail the complexities involved in the ACTD initiative. A second objective of the chapter is to articulate the development of Critical Operational Issues (COIS) and Measures of Effectiveness (MOE) as methodologies for investigating the military utility of telemedicine.